We’d love your help. Let us know what’s wrong with this preview of Little Pink Book by Cathy Bartel. 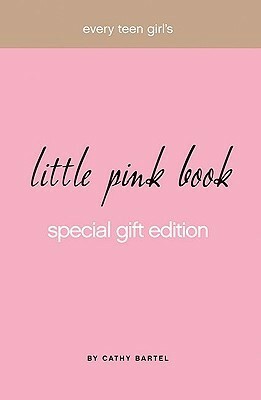 To ask other readers questions about Little Pink Book, please sign up. This is very good. Especially if you're a christian. I would recommend you to read this during your daily devotions, because you will learn many things about friendships, your relationship with God, family, etc. Which will help you develop yourself more, and grow closer to God. :)) I never grow tired of reading this over, and over again. this book is for all the girls out there who longs to answer their questions in life. most of my questions are answered, advises and Biblical truths are seen throughout in this book. I learn a lot from this book especially about friendships and avoiding tips. and also How we very special to god. This book is for teens to get closer to Jesus.